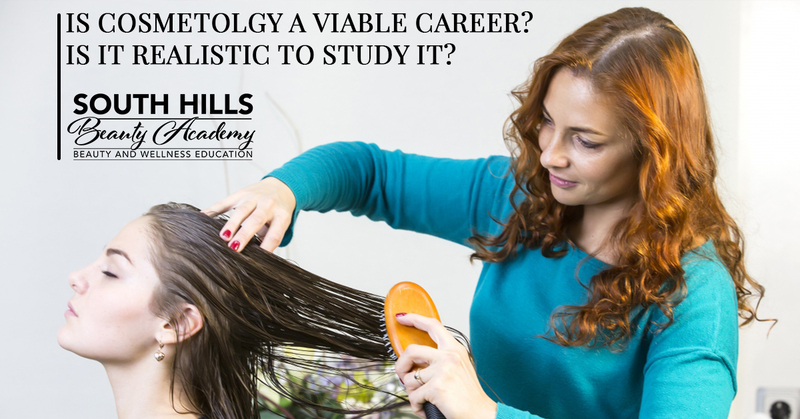 Cosmetology School Pittsburgh: Is Cosmetology a Realistic, Viable Career? Here at South Hills North Hills Beauty and Wellness Education, we are passionate about delivering high-quality beauty instruction to the Pittsburgh community, as well as to people from as far away as West Virginia and Ohio. If you are just now embarking on a career in cosmetology, or if you are considering your options and wanting to start your career in the beauty industry, you might be wondering about whether cosmetology is a viable career. At our cosmetology school in Pittsburgh, it is our opinion that the answer is a resounding YES. In this blog post we’d like to go into more detail on why it’s realistic to study cosmetology as a career. In the 1970s, you could graduate from high school, get a factory job, and earn enough money to raise a family, buy a house, own a car, and even go on vacation once a year. In 2017, that version of the American dream has pretty much gone up in smoke. If you have a high-school diploma in today’s world, your career options are severely limited and you’re going to be pretty much stuck with minimum wage jobs. That’s fine when you’re a teenager and in your early 20s, but it gets really hard to provide for yourself when you want to be independent or raise a family. Studying cosmetology could be your ticket to a viable career where you gain control of your livelihood and enter into a field where you can earn a stable income. The point of college is supposed to be this: You pay big bucks and study four years to get into a field that pays well, so that you can just work ONE job from 9-5 that pays enough to support you, instead of juggling two or three jobs in order to make ends meet. And while some Bachelor’s degrees do offer you this, many do not. The ones that do are typically the ones in fields like computer engineering or nursing that require you to have strong math and science skills. Apart from that, you typically either need to get a Master’s degree or a PhD for your college degree to count for any boost in job prospects. This is why you find so many people with Bachelor’s degrees making minimum wage and playing the same exact game of juggling two or three jobs. It depends on your degree choice, but you might as well get trained in cosmetology, which takes far less time and money and results in an interesting career that will let you escape the drudgery of the lowest jobs. Your earning potential as a cosmetologist is almost unlimited, but realistically, most people won’t become a stylist to the celebrities or one of the hot-shot cosmetologists. Nationwide, the median salary for a cosmetologist is $30,326 per year, according to November 2017 data from Payscale.com. However, some cosmetologists report earning up to $53,082 per year. Start your Cosmetology Career Now! It’s easy to get started with the enrollment process at South Hills and North Hills Beauty Academy. Contact us today and ask to schedule your tour of our facility.